While it might seem crazy to be talking about flood insurance in the depth of summer, it’s an important issue with a major deadline looming in the near future. The National Flood Insurance Program was created by the United States Congress through the National Flood Insurance Act of 1968. The program was designed to provide property owners with an avenue to purchase insurance against losses from flooding for properties across the county. While administered by the government, this insurance is required on loans and lines of credit for buildings and homes that are located within determined flood plains. Its primary design is to provide a means to ensure against flooding disasters and maintain affordable costs. Coastal flooding might be the most common image to come to mind when one thinks of this issue – and for good cause: Most of the properties covered by the NFIP are in Florida and Texas, yet there are homes and businesses across the Greater Chattanooga region that are prone to flooding and where flood insurance is required. 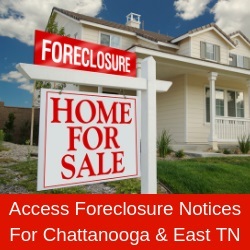 There have been a series of amendments and extensions to the NFIP over the years, including an expiration of the program in 2010 which disrupted over 1,300 home sales daily – or 40,000 per month. Next the Biggert-Waters Flood Insurance Reform Act of 2012 was passed, which allowed premiums to match actuarial risk of expected losses and sent many premiums skyrocketing. In January 2014, the US Senate passed the Homeowner Flood Insurance Affordability Act of 2014, which provided for subsidized premiums and reinstated lower rates. With this looming threat fast approaching, the NAR issued a call to action for its 1.6 million members on Aug. 22. In this action, Realtor members were urged to contact their respective members of Congress and encourage them to support H.R. 2874, the 21st Century Flood Reform Act. This would reauthorize the NFIP and make a number of critical improvements which NAR feels are important to property owners. If you do not own property that requires flood insurance, you might be thinking this issue is not your concern. Quite the opposite is true, as any break in the NFIP would cause a disruption to national home sales and thus would be a negative for all homeowners. The Greater Chattanooga Association of Realtors encourages you to join us in supporting this important program. The Greater Chattanooga Association of Realtors is “The Voice of Real Estate” in Greater Chattanooga. The Association is a regional organization with more than 1,800 members and is one of more than 1,400 local boards and associations of Realtors nationwide that comprise the National Association of Realtors. GCAR services Hamilton and Sequatchie counties in southeast Tennessee and Catoosa, Dade and Walker counties in northwest Georgia. Go to www.GCAR.net for more information.